Lose yourself in the company of sailors, barmaids and bootleggers for a soulful, song-filled ode to gin – equal parts historical and hysterical. Coined a rare gem of cabaret gold, Mother’s Ruin – a Cabaret About Gin comes to Geelong Performing Arts Centre for three performances only this February (14-16) in the Drama Theatre. 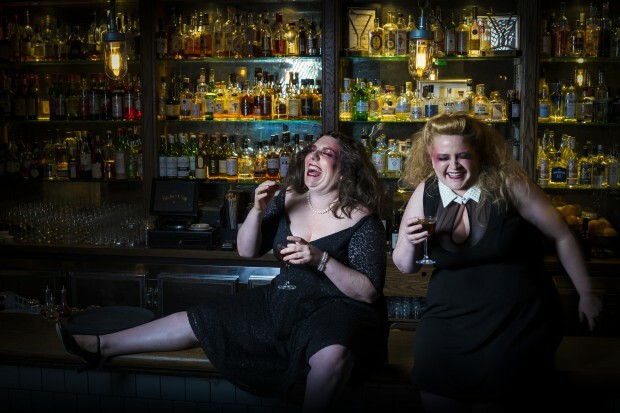 With tipsy candour, rising cabaret stars Maeve Marsden and Libby Wood take us on a sublime musical journey through the history of ‘mother’s ruin’, aka gin. They stumble and soar through tales of love and women, gin and secrets, through 18th Century London, a few New York speakeasies, colonial India, into the Australian bush and the jungles of Peru. Brimming with music originally performed by Amy Winehouse, Nina Simone, Martha Wainwright, The Popes, The Pretenders and more, Mother’s Ruin premiered to full houses and critical acclaim at Sydney Festival, Adelaide and Melbourne Cabaret Festivals, Darwin and Brisbane Festival and sold out at Edinburgh Festival Fringe. This production is presented by MILKE and blackcat productions in association with The Ginstress and forms part of Geelong Performing Arts Centre’s innovative approach to programming for new audiences. Newly appointed Executive Producer, Brad Rush says; “We are delighted to bring Mother’s Ruin to Geelong Performing Arts Centre. The show has toured extensively throughout fringe, comedy and cabaret circuits around the Australia and the UK, and we believe it’s important that our local audiences have access to this style of show. Tickets are just $35 each and include a complimentary gin cocktail generously supplied but Teddy and the Fox and pre-show entertainment courtesy of the Piano Bar. Who can say no to that?! Book at gpac.org.au or contact Box Office on 5225 1200.